Art is more fun when you do it with your family! Join the Kids Discovery Museum for Family Fun with Fine Art. Resident instructor, Tess Sinclair, will help you create a masterpiece of your own. 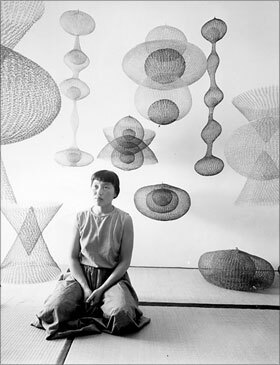 Families will create their own wire and light sculptures inspired by the art of Ruth Asawa. Ruth is an American artist who is nationally recognized for her wire sculpture, public commissions, and her activism in education and the arts. Drop in anywhere between noon and 3:45 pm.